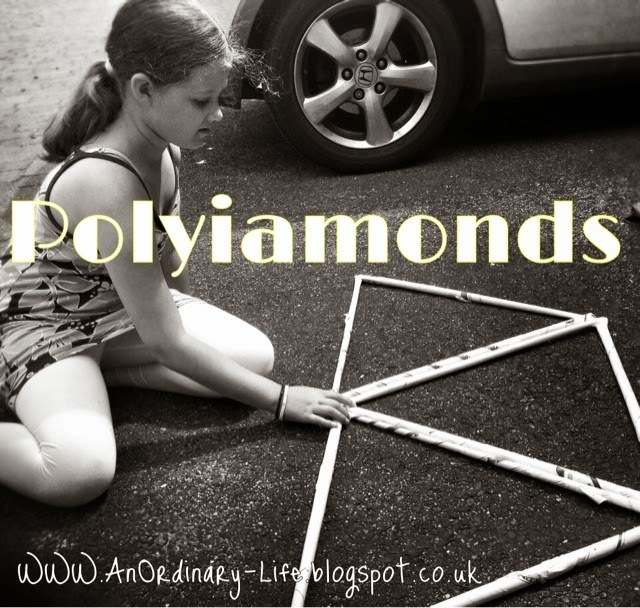 This is a fun way to learn about polyiamonds in a simple and fun way but can also stem into an algebra project too for older children who want to 'play' with maths. You may, or may not have seen my blog post: How to make a DIY geodesic dome. It was my inspiration for this project and it surprised me that it was entertaining enough for all 4 girls I just wish I had had more newspapers in so they didn't have to share the ones I made. A polyiamond, sometimes refered to as a polyamond or an iamond, is a polyform - a polyform shape made by joining together identical basic polygons, in this case equilateral triangles. The word polyiamond is a back formation of the word diamond, meaning that diamond was a word before polyiamond. 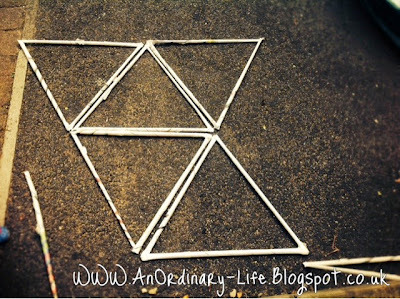 This is because the word diamond is used to describe the shape of two equilatrial triangles placed base to base and because the greek prefix 'di-' meaning two. 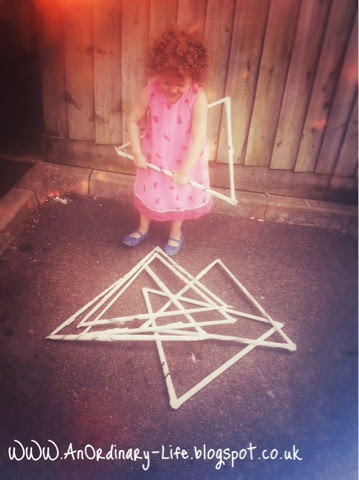 I made my triangles in the same way as I had for my Geodesic domes and cut them all to the same lengths using a metre rule and a pen to mark off the cutting points. HOW I DID IT: I found the smallest rolled up newspaper tube and then cut it to make it as long as possible, and then measured all my others and made them all the same length as the first. 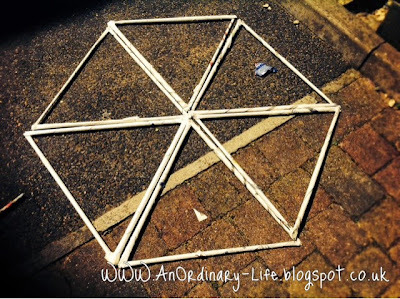 CHECK OUT THIS POST: GEODESIC DOMES, TO SEE HOW TO ROLL YOUR PAPER TUBES. THEY NEED TO BE ROLLED AT AN ANGLE AND VERY TIGHTLY, ADULTS MAY HAVE TO HELP YOUNGER CHILDREN WITH THIS PART AS IT CAN BE TRICKY. Staple the ends of three of the rolled up paper tubes together and then wrap tape around the corner to protect fingers when playing! 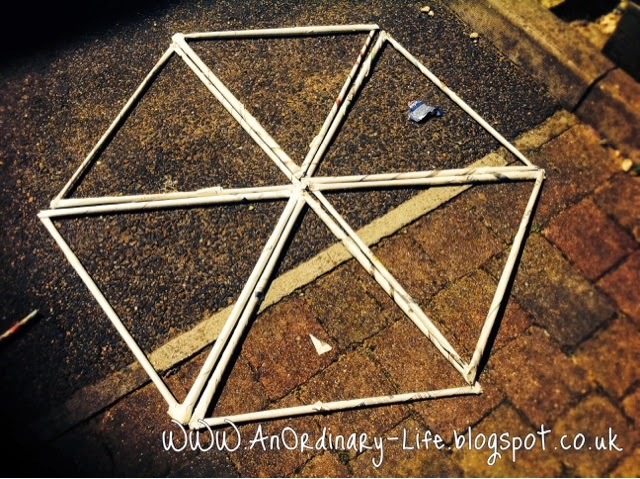 You can get the children to draw out their findings or you can take photos of all the different shapes they have made. With younger ones you can just talk about the fact that they are creating tessellations. 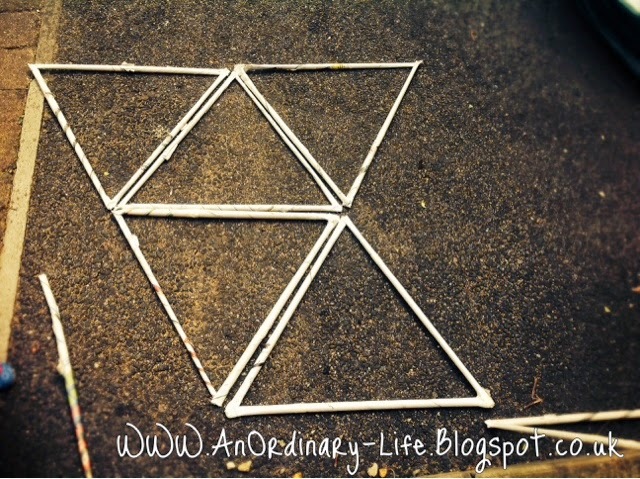 Talk about different shapes they can make. What do the shapes look like? A crab? A bird? A house? 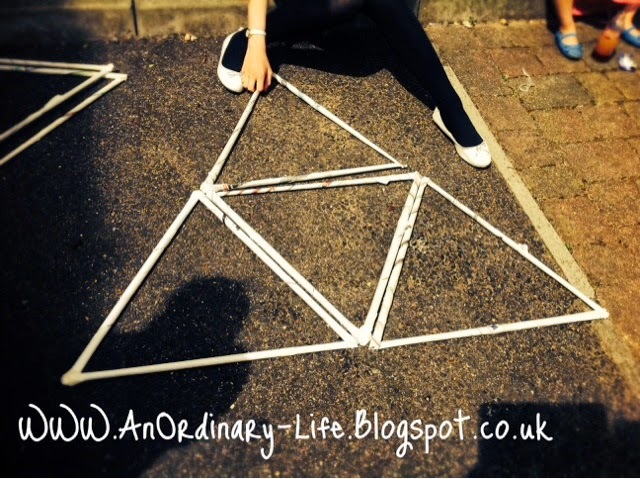 It can be how many different shapes you can make from how many triangles and then work it out to the nth term - if you are not sure what the nth term means: "the nth term" of a sequence is an expression that will allow us to calculate the term that is in the nth position of the sequence. Here is a post with more about it: Leap Frog. Can you find any other patterns that can be made into an algebraic equation? How many sides does each new shape have? 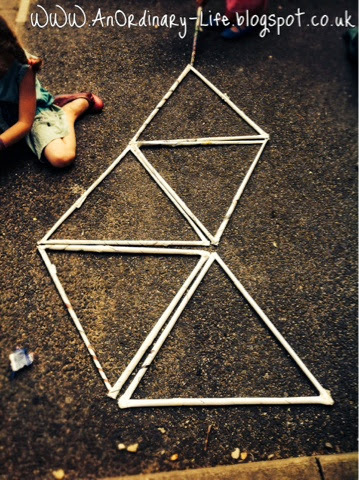 Make some more triangles so you have at least 12 but start with 9 and see how many shapes can you make that have a hole in the middle?